What Do I Need To Build A Gaming PC? You should (almost) never buy a pre-built PC. To be more accurate, you should never buy a pre-made PC if you want to make sure you’re getting your money’s worth. After all, customizability is one of PC gaming’s biggest advantages, and you don’t want a store ripping you off with subpar configurations. So, why not build your own gaming PC? 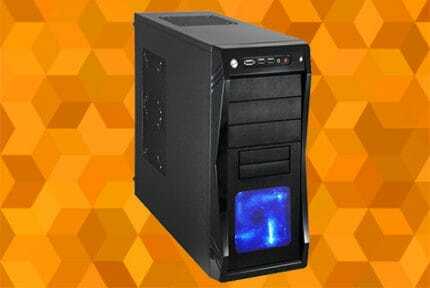 With this article, we would like to help you build a gaming PC that you will be proud of, and one that will not leave you with a hole in your pocket. We will be explaining all the necessary components and peripherals, as well as making some recommendations as to which ones you should get. If you, on the other hand is looking for a PC Build part guide, we’ve got an amazing $1000 PC gaming build, which we keep up-to-date at all times! Well, let’s get this gaming PC building guide started, shall we? By “primary components”, we define all the electronics that are found inside the computer case i.e. the actual computer. This encompasses the CPU, the GPU, the motherboard, the RAM memory, the storage drives, and the power supply. Standing for “central processing unit”, CPUs are commonly referred to simply as “processors”, and they are the brains of your PC. They process all the data that goes through the computer and they tell all the other components what they are supposed to do, as well as when they are supposed to do it. The two dominant manufacturers of CPUs are Intel and AMD. Both of these tech giants offer users a range of viable gaming CPUs, but neither is necessarily better than the other, especially considering AMD’s recent comeback with the Ryzen series. Core i7 and Ryzen 7 processors are only really necessary if you intend on building a PC with multiple powerful GPUs, as the CPU’s primary role in gaming is to feed the GPU all the necessary information. If the CPU cannot manage to keep up, that leads to what is called bottlenecking. What this means is that, essentially, a portion of your GPU’s processing power will be sitting idle. 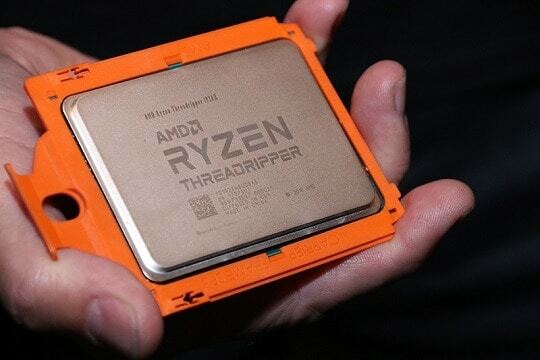 Furthermore, you might see some people claiming that you need a Core i9 or a Ryzen Threadripper, or even one of the beastly Intel Xeon or AMD EPYC processors. However, those are not meant for gaming but for workstations and servers that need the kind of processing power those processors enable. For gaming purposes, they are simply a very expensive overkill that will not give you better in-game performance. Ready to pick out your gaming CPU? We just happen to have an article to help! Click here to see our CPU buying guide! Standing for “graphics processing unit”, GPUs do exactly what their name implies – they handle all the in-game graphics rendering. It is important not to note that a GPU and a graphics card are not the same thing since the GPU is merely the processor whereas a graphics card includes other major elements such as the VRAM. 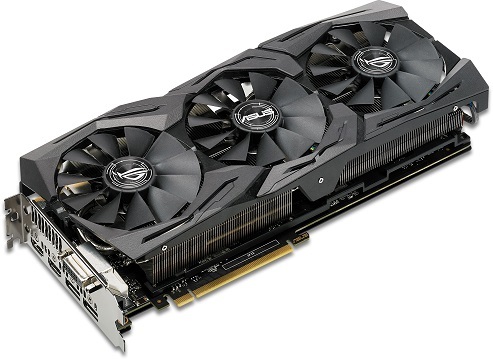 While dedicated GPUs are not exactly required in all PCs due to many CPUs and some motherboards having integrated graphics chips that can fully handle multimedia, browsing, and office work, you will need a dedicated graphics card for gaming. Today, there are two companies that produce GPUs – Nvidia and, once again, AMD. However, the playing field is not as even as it is in the CPU market, with AMD sticking to low-end and mid-range solutions while Nvidia dominates the high-end. The above GPUs are the ones that we find to present the best value. Of course, there are other options, and we recommend that you check out their performance and compare them here. UserBenchmark.com is not the most reliable source for benchmark results, but it will give you a good impression of how a certain GPU performs as compared to others. However, as we have mentioned before, there is a difference between a GPU and a graphics card. While Nvidia and AMD make the GPUs, it is mostly other companies that make actual graphics cards. 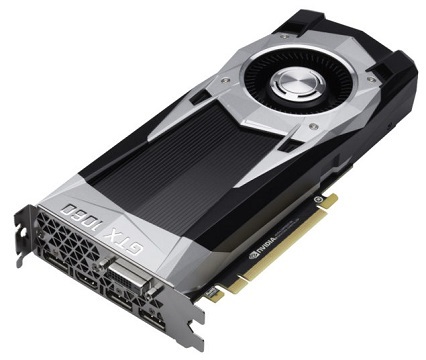 There are many seasoned hardware manufacturers that you can turn to, some of which are big names that make both Nvidia and AMD graphics cards, such as Asus, Gigabyte, and MSI. On the other hand, there are also smaller ones which work solely with either one of the aforementioned brands, such as EVGA and Zotac or XFX and Sapphire. But what actually differs from manufacturer to manufacturer? 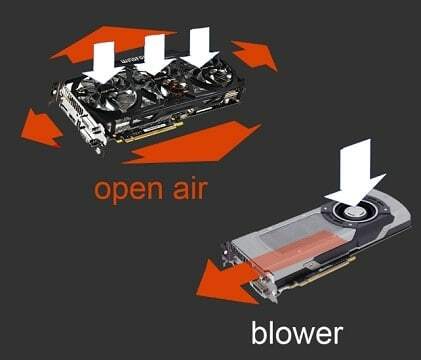 Open-air cooling – The card can have one, two, or three fans which push the air through an open heatsink. 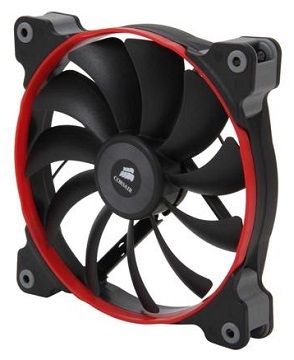 This is the most popular and the most efficient type of cooling in the majority of cases. Blower fan cooling – Seen mainly on reference cards, this cooling solution relies on a single blower fan and a closed heatsink. The fan blows the hot air out the back of the card, which makes these cards good for smaller cases, although they will not benefit from additional case-mounted cooling. However, some people like these types of cards for their aesthetic appeal. Water cooling – Reserved for high-end graphics cards, water-based cooling is a bit more complex than the more popular air-based solutions. It is only used for overclocked graphics cards that generate more heat than what air-cooling can comfortably handle. We advise going with open-air cooling. After all, it is the most popular and most widespread graphics card cooling solution for a reason. As a matter of fact, you might not even see blower fan-based or water-cooled cards being sold in smaller stores. Apart from that, graphics cards may have some extra features that vary from manufacturer to manufacturer. Each company has their own utility software, but apart from that, the differences are mostly aesthetic. And finally, we have VRAM capacity, the card’s own random-access memory reserved for graphics processing operations. Back in the day, VRAM was very important for high-resolution textures, but today it is all about the overall display resolution. At the moment, 4GB cards are more than enough for 1080p, although you should opt for an 8GB or the odd 6GB variant if you have your sights set on gaming in 4K or turning up all the settings to maximum in 2K. Too much information to handle? Perhaps our graphics card buying guide will help you make the choice more easily. RAM stands for “random access memory”, and it is what your PC uses to store information that it needs to access quickly, seeing as this technology is significantly faster than any form of storage currently available. The downside to it is that the RAM module needs to be powered for it to store information, so all the data is lost the moment the power is out. Today, RAM modules use the latest DDR4 technology. The main thing to keep in mind when it comes to RAM is the capacity. For the most part, we advise getting 8GB of RAM for your gaming PC, since that is the best all-around option. 4GB is too little for modern games and 64-bit operating systems, and 16GB is a more future-proof solution. Anything higher is simply excessive since 32GB or more RAM is only needed for workstations and servers. 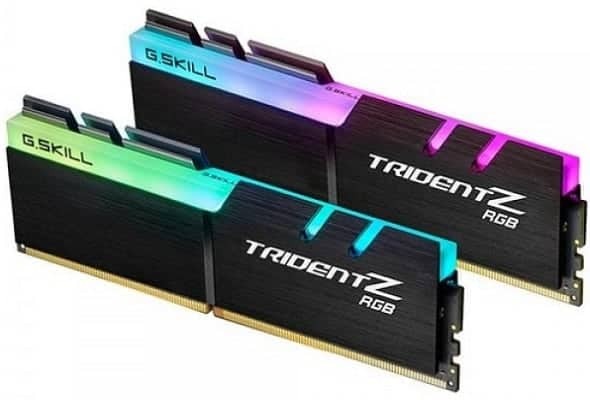 There is also the question of the RAM module’s operating frequency, which generally ranges from 2133MHz to 3200MHz for DDR4, although there are extremely fast (and expensive) models that go as high as 4600MHz. But once again, higher-frequency RAM is more expensive and it will not net you any significant framerate gains. Take a look at our RAM buying guide to see some of the best models currently available. The motherboard has one simple purpose – connecting all the main components into a functional whole. It will not affect your gaming performance in the least, but it will determine which components, and how many of them, you can install. What you should consider when picking a motherboard is the chipset type and the socket type, as these will determine which CPUs the motherboard will support. Sockets are not a big issue since all mainstream Intel and AMD CPUs use the LGA1151 and the AM4 socket respectively. 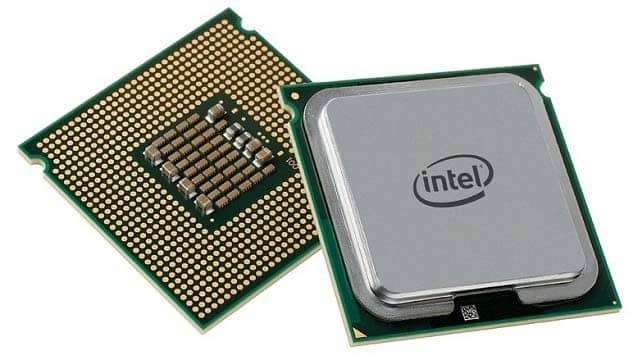 However, not all newer CPUs are backwards compatible with older chipsets. You can check the details on each chipset’s specifications at their respective Wikipedia pages here and here. Other than that, you should also take into account the number of RAM and PCIe slots, which are determined by the motherboard’s format. 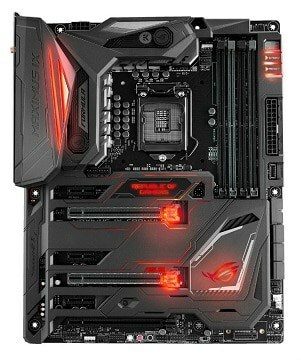 There are also EATX motherboards that can support eight RAM slots and even two separate CPUs, but those are best used only for workstations and servers. All things considered, we recommend a Micro ATX motherboard for most gaming PCs, and ATX for those which will utilize two GPUs or, potentially, a number of additional PCIe cards. As for Mini ITX, it is best left for compact cases that prize convenience and aesthetics over functionality. There are quite a number of motherboards out there, but we have picked out the very best ones to help you find whichever one is right for you more easily. A PC’s internal storage is comprised of two types of drives: HDD and SSD. 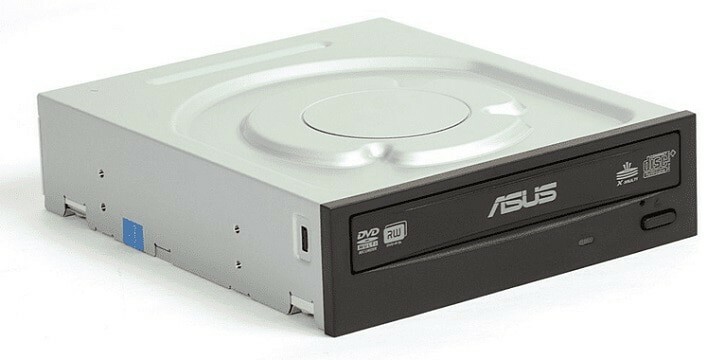 HDD stands for “hard disk drive” and it is the most popular means of storage due to low prices and high capacity. 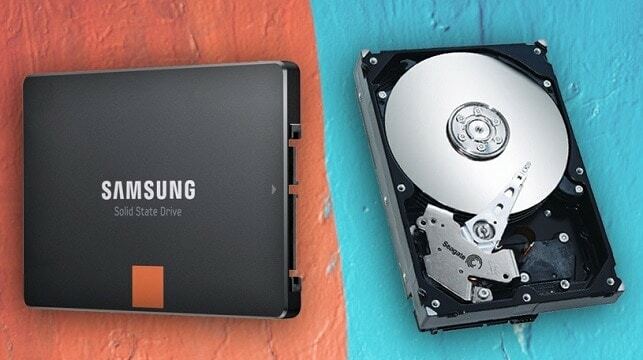 SSD stands for “solid-state drive” and these drives are can be up to roughly ten times faster than HDDs, but they are more expensive to manufacture. As such, they will cost more and have less storage capacity. Ultimately, we recommend going for a smaller sub-500 GB SSD as your main system drive i.e. the drive where Windows and any games will be installed. It should be complemented with a 1 TB or larger HDD for storing data. The power supply, or PSU for short, is just what the name implies – it provides your PC components with the adequate amount of juice. When it comes to PSUs, all you need to worry about is the wattage. 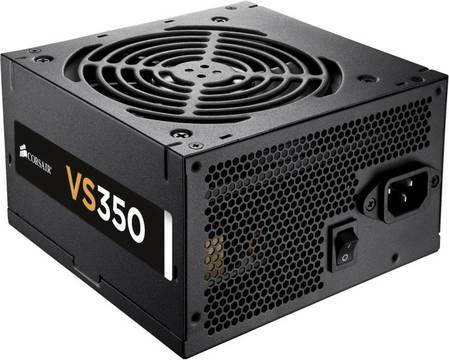 Power supplies can range anywhere from 200 to 1800 watts, although 500-600 watts is more than enough for most gaming PCs, as long as they don’t have multiple graphics cards installed. Granted, there are different power supply formats, but most cases and motherboards are built with the ATX standard in mind. Furthermore, it is important to always buy PSUs from reliable manufacturers, as a low-quality power supply can literally fry your PC. It’s also a good idea to have an uninterruptible power supply so that no files are harmed in case of a power outage. When we say “secondary components”, we refer to a variety of internal PC components that you may find useful but that are not necessary for the computer to function. These are the optical drive, the sound card, case-mounted fans, along with a range of different expansions cards. There used to be a time when an optical drive i.e. disk drive was mandatory for any PC, seeing as CDs and DVDs were the most popular storage medium. Solid-state memory was not sufficiently advanced and the Internet was extremely slow as compared to what we have today, so there was hardly any alternative. If you own a lot of CDs, DVDs, or Blu-Ray disks that you may want to pop inside your computer, then you can get an internal or external optical drive. The only thing you need to keep in mind is whether the drive only supports CDs and DVDs or if it is also compatible with Blu-Ray disks. The latter drives are on the more expensive side, but they are still a worthwhile investment if you truly need them. All modern motherboards have integrated chips which handle audio input and output, and while these integrated solutions were hardly reliable in the past, they have advanced exponentially. 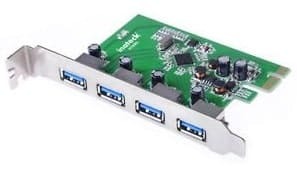 As a matter of fact, the only reason you may want to buy a dedicated sound card is if you need a proper 5.1 or 7.1 surround experience since most dedicated sound cards have all the required inputs and processing power to handle surround sound. If you only plan on using stereo 2.0/2.1 speakers and headphones, there is no need to invest in a sound card. Still, if the integrated chip fails, you have an easy means of replacing it without having to buy a whole new motherboard. 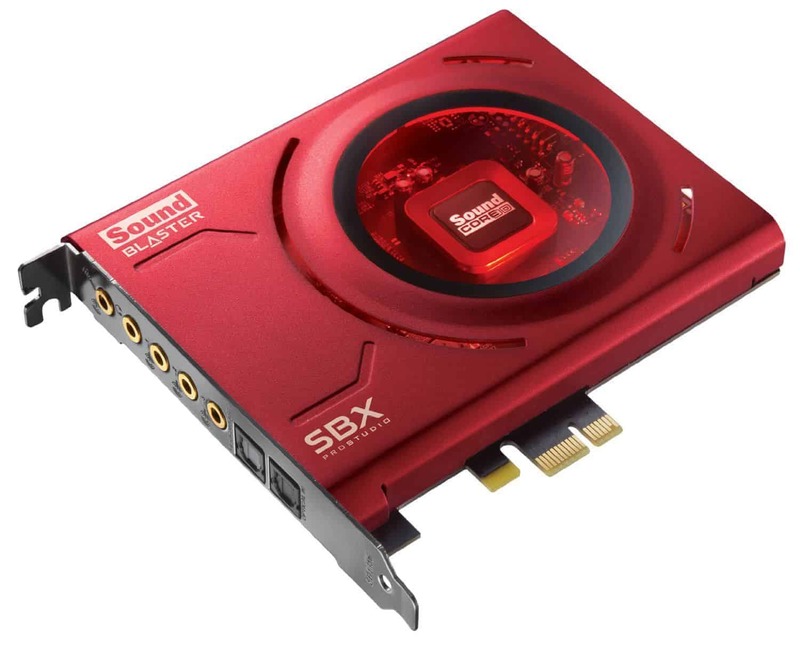 If you intend on getting a sound card, give our gaming sound card buying guide a look. Expansions cards are a diverse category of PCIe-based cards with differing functionalities. These can include internal modems, Wi-Fi adapters, as well as various input/output port expansions. However, much like with sound cards, these are largely unnecessary since motherboards often have all the functionality you might require built-in. Just as the name suggests, these are case-mounted fans that serve to provide some extra cooling by improving the airflow inside the case. These are entirely optional, but we highly recommend getting at least one or two, especially if you plan on buying a large graphics card that will generate a lot of heat. What’s more, case fans with LED or RGB lighting can also contribute to your system in the aesthetics department. You can see our selection of the best case fans here. Once you have picked all the internal components, it is time to pick the case itself. There are also Full Tower cases designed with EATX motherboards in mind, but as said before, those motherboards are best left for workstations and servers. Still, there is nothing stopping you from getting even a Full Tower if you want one for its imposing appearance. Other than the motherboard, you should also consider whether the graphics card you intend on buying can fit the case as well. It is not uncommon for bulkier cards to be too large to comfortably fit inside a Mini or Micro Tower case. 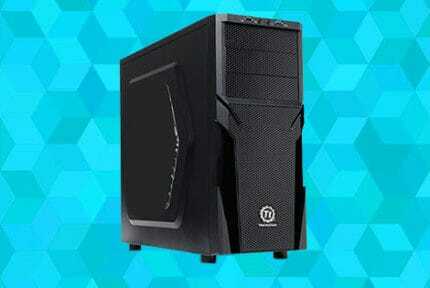 That said, we recommend picking a Mid Tower case since its spacious, future-proof, and not necessarily more expensive. Click here to see our take on the best gaming cases of 2018. In this section, we get to the peripherals i.e. the parts of your gaming PC that are seen on the outside and serve either as means of input or output: monitors, speakers, headphones, keyboards, mice, controllers, and microphones. The monitor is a specialized display that differs from a TV in a number of ways. They are generally smaller but also pack higher resolutions in that smaller frame to make viewing them up close a more enjoyable experience. On top of that, they also tend to have lower response times than most TVs, something that leads to less motion blur. Another big difference lies in the connectors. Monitors usually have an HDMI and/or DisplayPort input for audio and video, with potential analog audio connectors and USB inputs/outputs. TVs, on the other hand, have many more connectors, including antenna/cable analog inputs, RCA audio connectors, SCART video/audio input, and others. So, here’s what you need to keep in mind when choosing a monitor! As mentioned above, monitors never go over 30 inches in size. Any “monitor” with a 30-inch diagonal or larger is merely a TV pretending to be a monitor. Needless to say, such large screens are neither convenient nor healthy when placed on a desk right in front of you. Modern monitors are generally 21-27 inches in size, and all of those are good fits for desktop use. The adequate viewing distance can vary from person to person, but it is most commonly either equal to or twice the monitor’s diagonal. 1080p – The most widespread and popular resolution today, Full HD looks great on monitors that are up to 24 inches in size. Anything larger, and you are bound to notice some in-game aliasing. 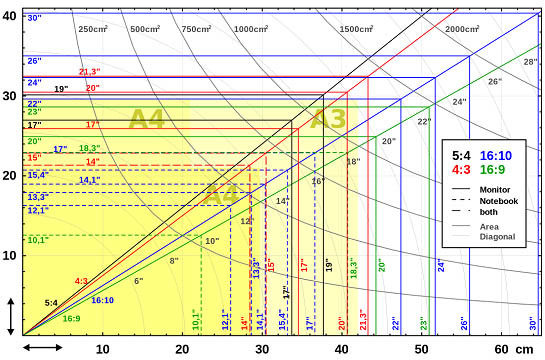 1440p – Quad HD, commonly referred to as 2K, is the next step in upping the image clarity on PC. It looks good on a monitor of any size and will add extra depth and clarity to an image which is simply not possible with Full HD. However, it also requires a powerful GPU if you want to push the framerate close to or over 60. 2160p – Ultra HD, or 4K, has exploded in popularity on the TV market, but not so much when it comes to monitors. The reason for this is that only the most powerful PCs can handle this high resolution, but those who own such PCs get to enjoy unprecedented image quality. We advise sticking to 1080p for the time being, although 1440p is still worth it provided that you’re buying a good graphics card. 2160p, on the other hand, is only recommended if you’re putting together a real monster of a gaming PC, or are planning on upgrading it to that status in the near future. A monitor’s refresh rate determines how many frames it is able to display each second, and it is measured in Hertz (Hz). The vast majority of displays have a refresh rate of 60Hz, while there are a lot of gaming monitors that support 144Hz and even 240Hz refresh rates. We advise that you stick to 60Hz, as you will not notice any difference between a 60Hz and a 240Hz monitor unless you GPU can pump out the adequate number of frames – and there are few games that the average PC can push that far, most of them being e-sports games. All in all, the refresh rate contributes nothing to visual quality but can provide competitive gamers with an edge due to the greater responsiveness. The average person, however, will barely notice a difference. 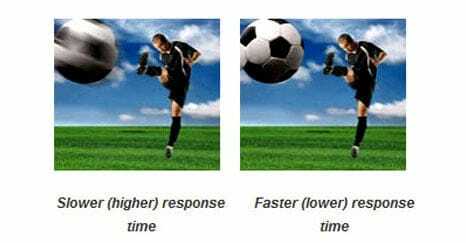 Response time is measured in milliseconds (ms) and it determines how much time a pixel needs to change color from black to white or from one shade of gray to another. Modern monitors’ response times are either 1ms or 4ms, based on the type of panel that the monitor uses. In practical terms, all that you get from low response times is less motion blur during camera movement. Once again, much like the refresh rate, going as low as 1ms is only useful for competitive gamers who need every advantage that they can get. If you do not count yourself among those people, you are unlikely to notice any significant motion blur unless the response time is higher than 10ms. With that said, we advise going for a 4ms monitor, especially considering the following. TN panels deliver lightning-fast response times at the cost of color accuracy and viewing angles. Meanwhile, IPS panels deliver more accurate and vibrant colors, in addition to much wider viewing angles – on the downside, the technology in question doesn’t allow response times lower than 4ms. This choice comes down to which you prefer – performance or visuals. And, as we’ve mentioned above, if you are gaming for pleasure, then an IPS panel will be a better pick. If you play competitive multiplayer, then a TN panel would provide you with a slight but useful advantage. Monitors use either HDMI or DisplayPort for video and audio input, and most graphics cards tend to have three DisplayPort outputs, along with a single HDMI output. 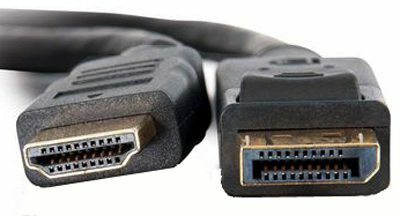 Some also still include DVI and VGA connectors, but we advise steering clear of those since they are dated technology. Now, the differences between HDMI and DisplayPort are fairly minimal – both can transfer audio and both support 4K. Where they differ, however, is in the refresh rate. The latest versions of HDMI, 1.4 and 2.0, support 4K at either 30Hz or 60Hz respectively. DisplayPort 1.4 can support 4K with a refresh rate as high as 120Hz. With that said, we simply advise going with whatever is more convenient, since you’re unlikely to be running a game in 4K and at 120 FPS. Also, keep in mind that both HDMI and DisplayPort are backwards-compatible. All this information making your head spin? 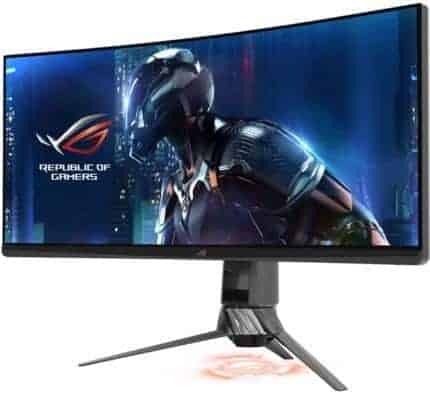 No worries, we have already put together a cohesive and thorough guide to the very best gaming monitors which will definitely be of help when making your choice. Speakers are one of the two audio output choices that you have, the other being headphones. Speakers have the advantage of more realistic acoustics, as well as better low-frequency reproduction (provided that it is a set which includes a subwoofer). Keep in mind that some monitors come with integrated speakers, but these are very rarely suitable for gaming due to their low output power. When choosing your ideal speaker set, the main thing you need to consider is the configuration. 2.0 – Stereo speakers are the most widespread. 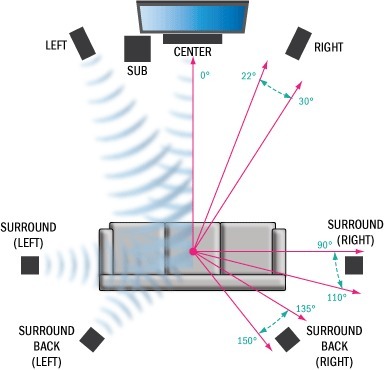 They use two separate speakers on each side to provide the listener with some spatial awareness. 2.1 – Almost identical to 2.0, a 2.1 configuration differs in one aspect: it includes a subwoofer. This is a special speaker dedicated to producing low-frequency sound i.e. bass. This enables some truly powerful sound, which is what makes 2.1 setups the most popular among gamers. 5.1 – This is a surround configuration that utilizes 5 speakers, plus a subwoofer, to provide the listener with more spatial awareness than what a simple stereo setup can do. 7.1 – The most advanced surround configuration, 7.1 uses a total of 7 speakers and a subwoofer to offer the listener the most immersive surround experience possible. For the most part, we advise getting a 2.1 setup since it is the most convenient and most cost-effective solution, all the while it is entirely capable of providing immersive full-range sound. Meanwhile, surround configurations can be cumbersome to set up and are best left for the more spacious rooms. In any case, if you’re planning on getting a 2.0 or a 2.1 speaker set, cast a glance at our gaming speaker buying guide. The terms “headphones” and “headset” are sometimes used interchangeably, although they are not the same thing. While they both have on-ear or over-ear earpieces, headsets are set apart by the fact that they also come with an integrated microphone. These products are commonly divided into mainstream consumer headphones, studio headphones, and gaming headsets. So, what are the main differences between them? Mainstream headphones are made with the average consumer in mind i.e. the person who might not use them only for gaming but also for listening to music and watching videos. They tend to be relatively compact and foldable so as to offer better portability. Studio headphones provide the highest-fidelity sound and the most faithful audio reproduction. They are made for professionals, not for consumers. With that said, they are quite expensive and might actually deliver a less satisfying experience as they are made for analyzing audio, not enjoying it. 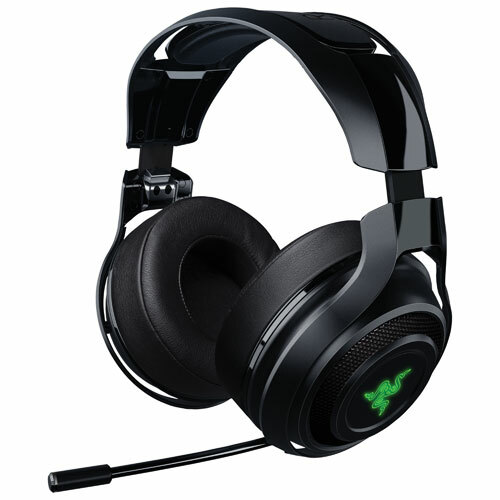 Gaming headsets strive to find the best balance between audio quality and recording quality. They tend to be more expensive than regular headphones since they must also include a good microphone. All things considered, we advise you to go with a mainstream set of headphones. Why? Simply because you will be getting the best sound quality at any given price tag. A gaming headset will inevitably have to cut some corners in that department to make room for a microphone, so only get a headset if you know that you will be using that microphone a lot. Otherwise, having a dedicated microphone would prove to be more cost-effective. Be sure to check out our headset buying guide here, as well as this one devoted to the more affordable solutions. On top of that, if wireless headphones are your thing, then give this one a look, too! 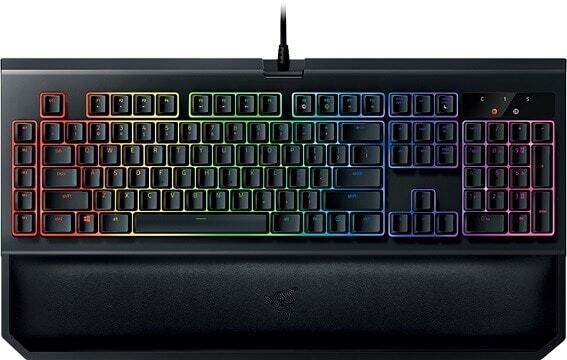 As for the keyboards, the biggest choice to make is whether you will be getting a regular membrane keyboard or a more advanced mechanical keyboard. The difference between these can be insignificant or it could mean the world, but that is up to the user. Membrane keyboards are quite simple: a key rests on top of a rubber dome, and when enough force is applied to the key, the dome collapses and the key makes contact with the circuit board. Mechanical keyboards, on the other hand, are much more complex. In this case, a key rests atop a switch, and it doesn’t need to be pushed all the way down before the mechanism is triggered and the switch makes contact with the circuit board instead of the key itself doing it as with a membrane keyboard. 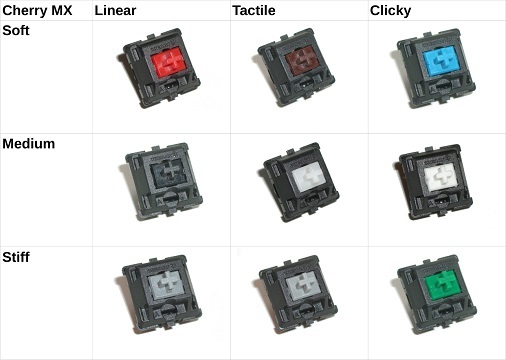 Furthermore, there are various types of switches, although MX Cherry ones are the most popular. As you can see, switches can differ in terms of how much force needs to be applied to a key and how noisy the keys are. In any case, a membrane keyboard will always be quieter. However, mechanical keyboards are a lot more comfortable to use – but are also much more expensive. In the end, it all comes down to personal preferences and the size of your budget. Although, we are inclined to recommend a membrane keyboard due to their more approachable pricing and cost-effectiveness, while the value of a mechanical keyboard is dubious and highly subjective. If, however, you still opt for a mechanical keyboard, we already have a helpful guide on that topic. There are two important factors to consider when choosing a mouse: the technology used and the number of secondary buttons. Optical mice tend to be more affordable and offer more than enough accuracy for a gamer’s needs. Laser mice are more accurate and can work on any surface, including glass. However, they can actually be more accurate than they need to be, detecting minor and irrelevant details that end up causing unwanted jitter. What’s more, they are quite a bit more expensive than their optical counterparts. With that in mind, we would recommend an optical mouse over a laser mouse any day. As for the secondary buttons, a standard mouse has three buttons that you’re most likely familiar with: a left click, a right click, and a clickable scroll wheel. 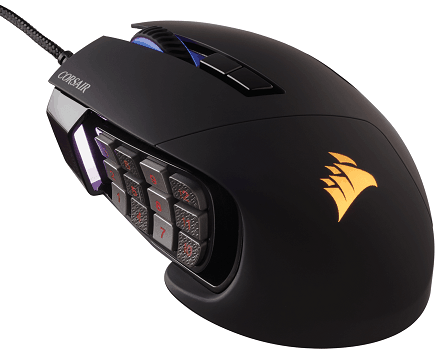 Gaming mice, however, can include extra buttons that can be programmed to correspond to a variety of controls, be it inside or outside a game. Having these programmable buttons in MOBA or MMO games can be quite useful, as they allow you to execute complex macros with the press of a single button. A lot of games are made for consoles first and are only ported to PC afterwards. Because of this, it is not uncommon to see games which are very poorly optimized for keyboard and mouse controls. But even if that is not the case, some games are simply more enjoyable to play with a controller. The best controllers out there at the moment are the Sony DualShock 4 and the Microsoft Xbox One Controller, although there are other options as well, as you can see in this article where we list the best PC controllers. If you don’t plan on getting a headset but are going to play multiplayer games, getting a dedicated microphone is a must. To that end, even a simple 10-20$ microphone will suit your needs well, and there is no need to invest in a higher-quality one unless you are planning on streaming. And there you have it – all the parts needed to build a gaming computer! Some think that building your own gaming computer is too hard, and it sure might seem so at first glance. But like with most such endeavors, getting started is actually the hardest part. Once you actually get going, it will all fall into place. We hope that you will have found this article helpful, and if you have any questions, feel free to ask in the comments below. We will do our best to reply as quickly as possible!